My friends and I challenged each other to create new and different Halloween costumes for our families this year. We had to come up with three and not the usual “on the rack” costumes. 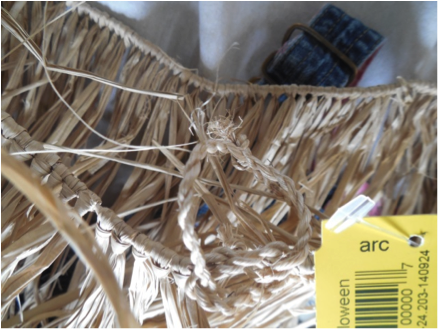 I knew just where to go – Arc Thrift Stores. 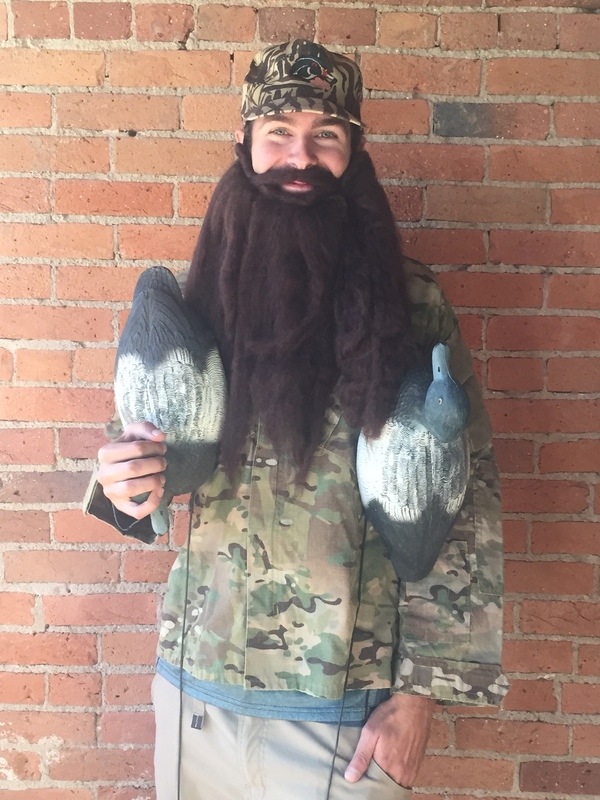 I have been going to Arc for years to put together Halloween costumes. 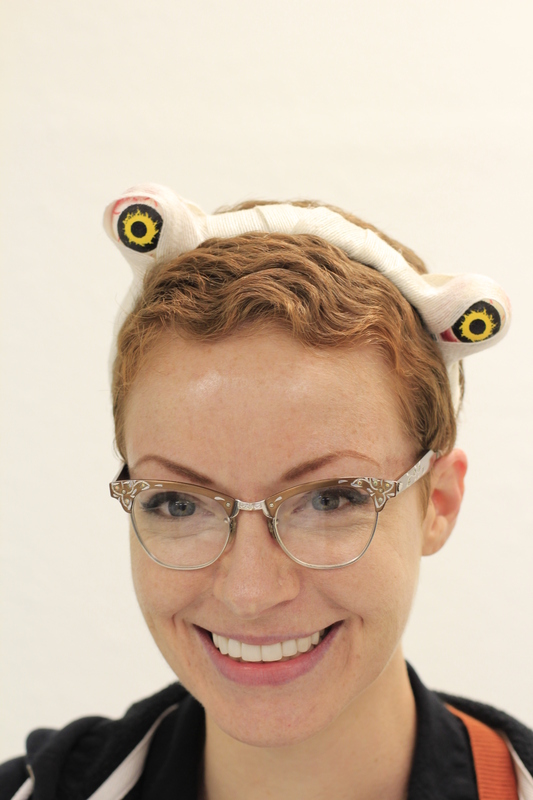 Not only can you create something unusual, you can do it at a fraction of the cost for costumes anywhere else. So we headed out to Arc and came up with these costumes: The Shady Lady, Graduation from School of Hard Knocks and The Duck Empire. 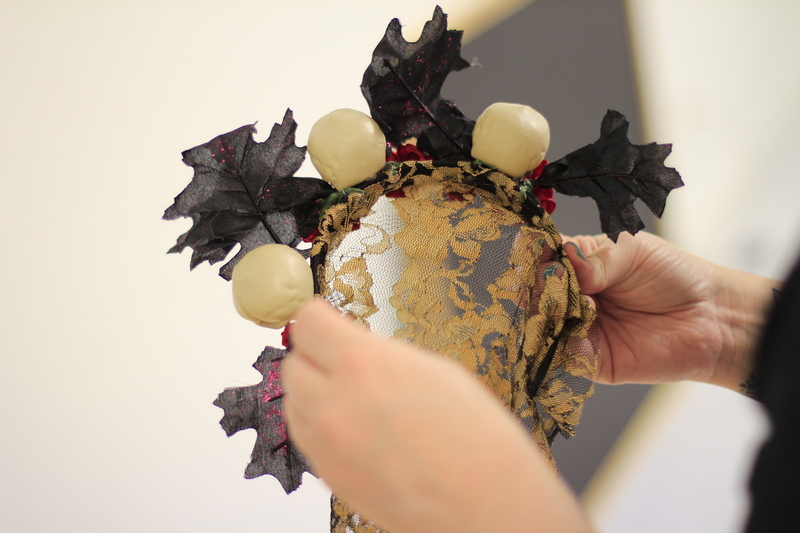 We started building the Shady Lady by finding the perfect lamp shade in the furniture department. 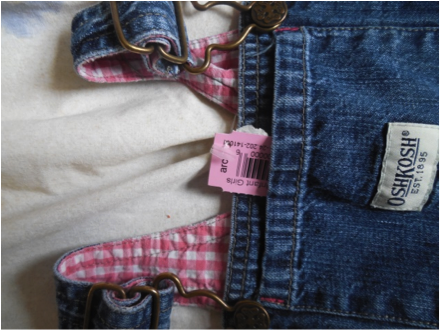 Remember, brilliant ideas can be found anywhere at Arc Thrift Stores. Once we had the green lamp shade, the dress was waiting in the costume department along with the glamorous eyelashes, gloves and shoes. We went shopping for accessories in the jewelry department where we found a large bin of costume jewelry. 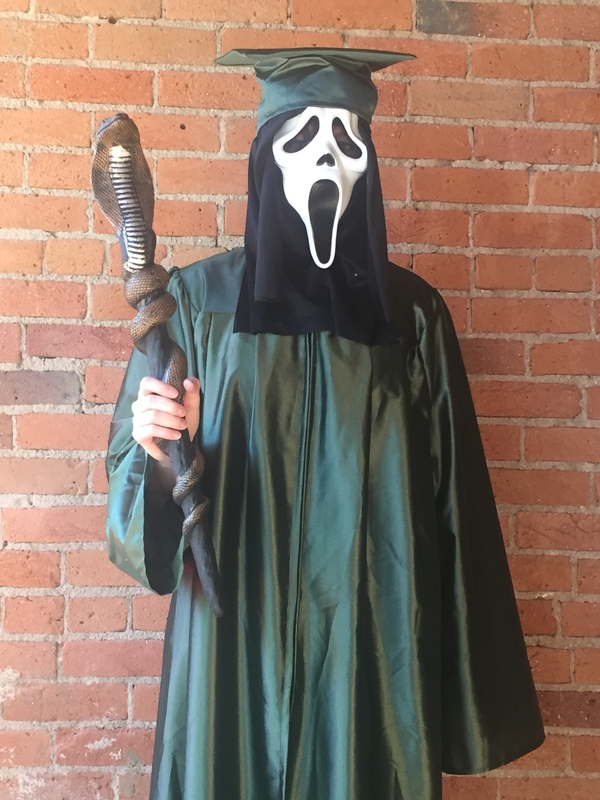 For the Graduation from the School of Hard Knocks, we started with the cap and gown that we found in the costume section, added a scary mask and scepter. 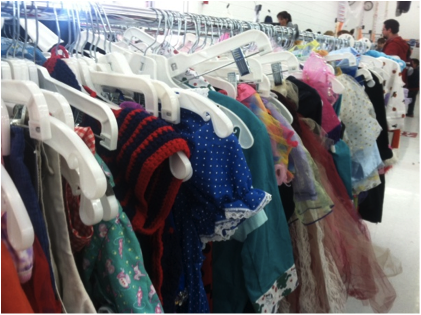 Arc employees use their imagination to pull possible costumes from inventory all over the store. There were many caps and gowns in different colors and sizes – only $7.99 each. The Duck Empire was the easiest and least expensive. Arc has a large selection of camo jackets – only $5.99, pants and hats. 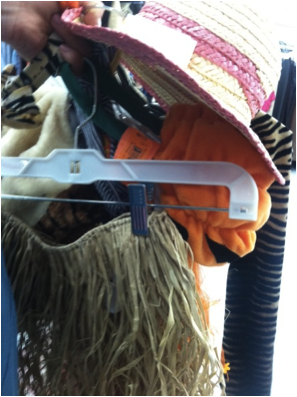 These items had been pulled from inventory and included in the costume section. 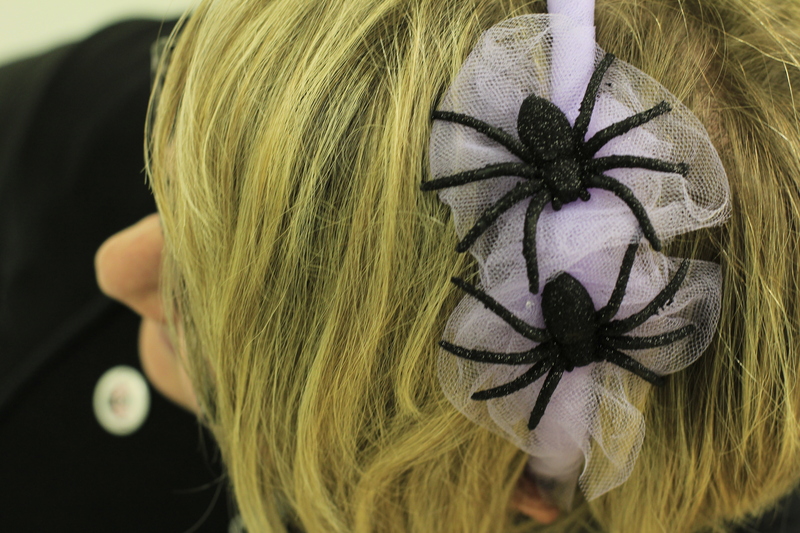 Arc also has a large selection of wigs and costume accessories in the Halloween department. 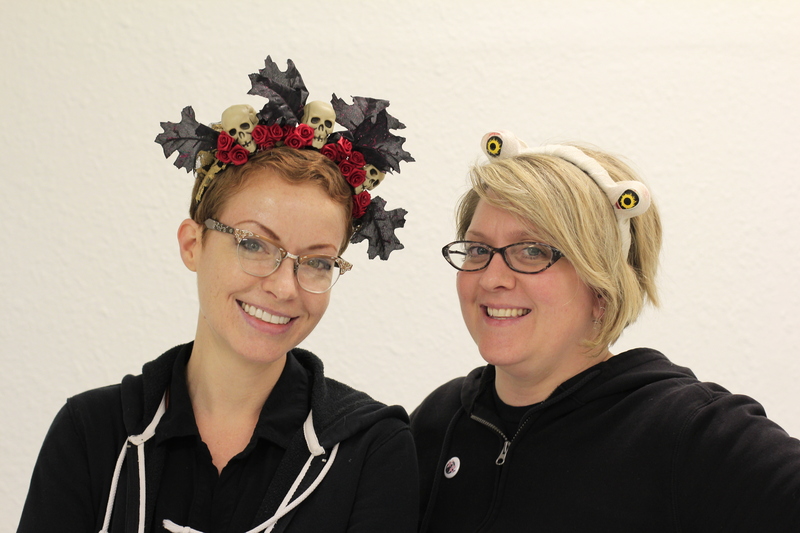 We enjoyed our Halloween experience at Arc as we scanned the options in the costume department (as well as all over the store) for ideas – and we weren’t alone. It was fun listening to kids and their parents as they looked through the vast possibilities to build the perfect Arc Halloween costume. 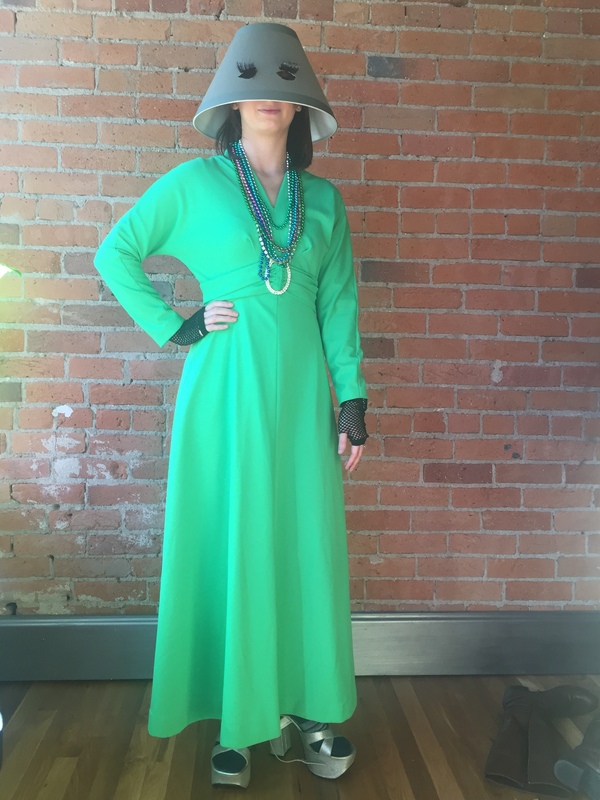 It is October, which means it’s time to find Halloween costumes. There is no better place to find a creative, DIY, costume than the arc. 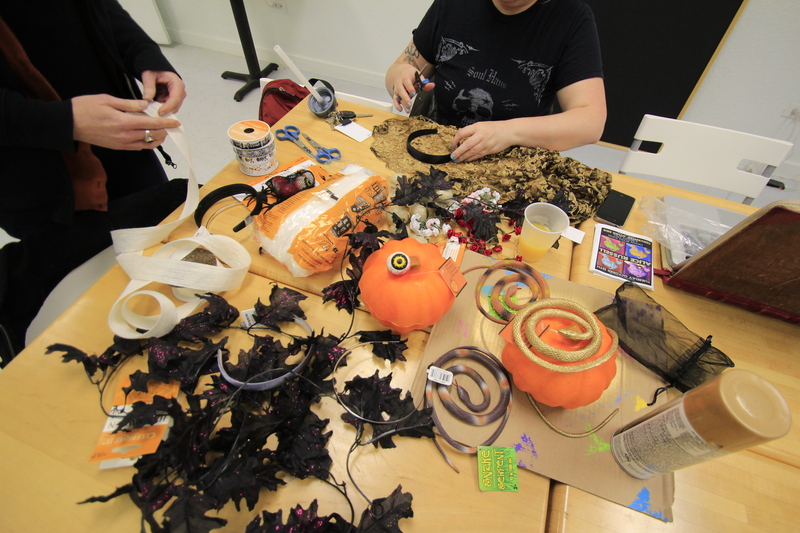 So last Saturday I paid a visit to the arc for some Halloween inspiration and affordable goodies. The spooky spirit was in the air and the arc was crowded! Everywhere I turned, someone was searching for the perfect costume. There were racks all around the store loaded with Halloween odds and ends. 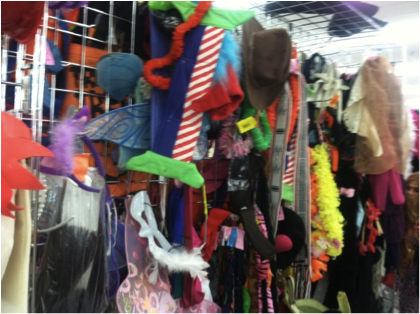 One thing to keep in mind when searching for costumes in a thrift store is flexibility. I went in with the goal of finding a train conductor outfit for my son and a cute ladybug costume for my daughter. 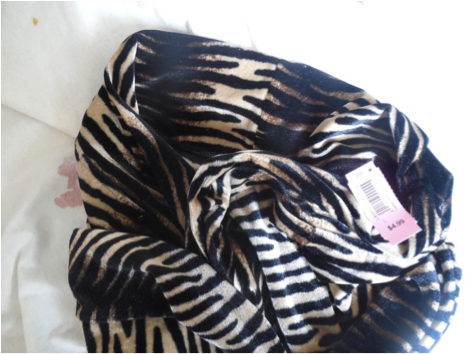 Well, that changed very quickly when I came across the perfect tiger hoodie and a fun, whimsical skirt that had obviously been handmade. All I had to do next was find the right accessories. 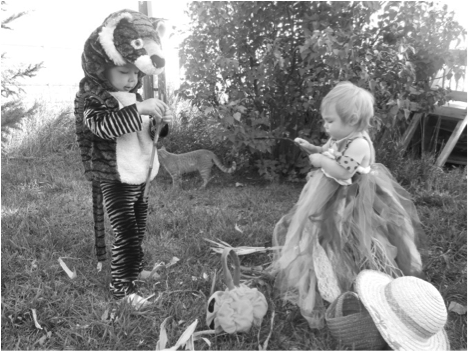 I decided that my son was getting a tiger costume. 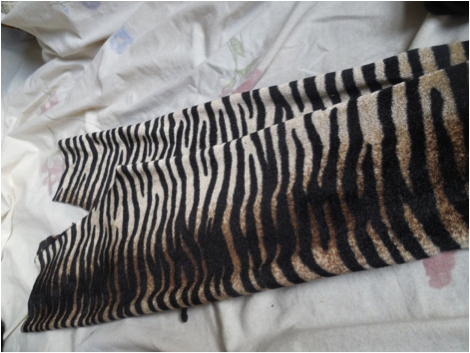 I needed a pair of tiger striped pants and shirt. I couldn’t find anything in his size, but no worries, I’m at the arc! 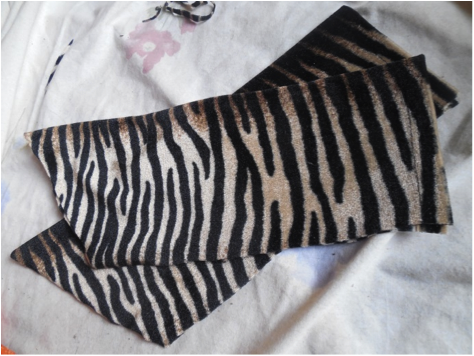 I just went up and down the aisles and found a great tiger striped ladies shirt that I could cut up and re-sew to fit him. 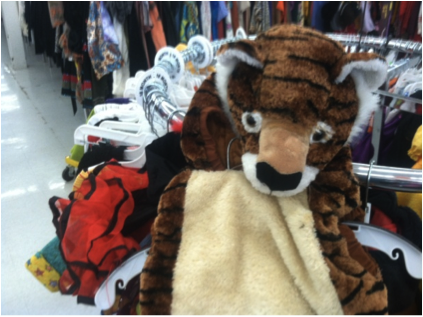 I also came across a toddler sized, tiger ear headband he could have fun with. Now that my son’s costume was taken care of, I needed to finish my daughter’s. 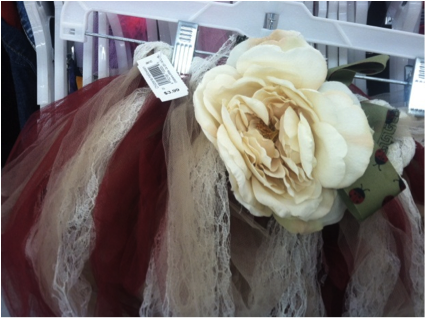 Next to the great skirt I found was an orange fairy tutu that I could add on top. 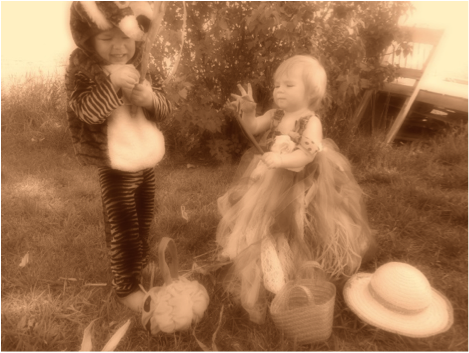 I looked around and found a small hula skirt that would serve as the straw in a scarecrow outfit. I went to the baby section and found an adorable pair of skirted overalls that were her size and she could wear any time outside of Halloween. 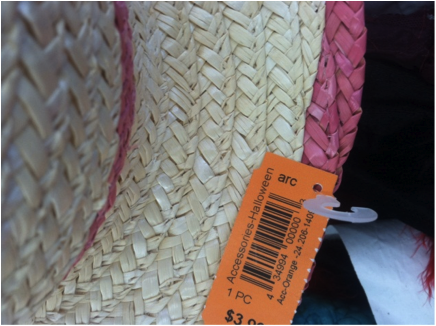 Now all I needed was a cute straw hat to complete the scarecrow look and, luckily, the arc had an amazing selection of straw hats. Right on top was a hat just her size. I took my goods home and proceeded to cut up the tiger striped shirt. I used a pair of pants that fit my son for the pattern. I used the sleeves of the shirt to make his pants. 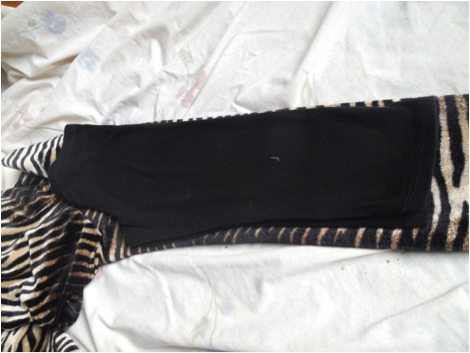 The bodice of the shirt had enough fabric to sew tiger sleeves, but not a whole new tiger shirt. So I cut out the shape for the sleeves and then rummaged through my closet for an old black shirt that could use. 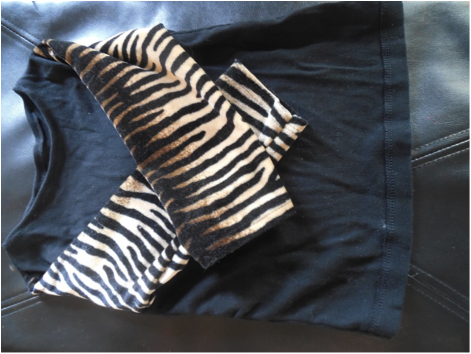 I made a new bodice and sewed my tiger sleeves to it. My son was thrilled and he put the new outfit on right away. Everything that I got at the arc totaled under $30. 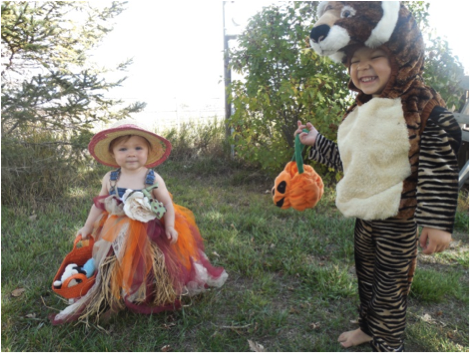 Similar costumes would have cost around $40 for the tiger outfit and upwards of $20 for the scarecrow costume. 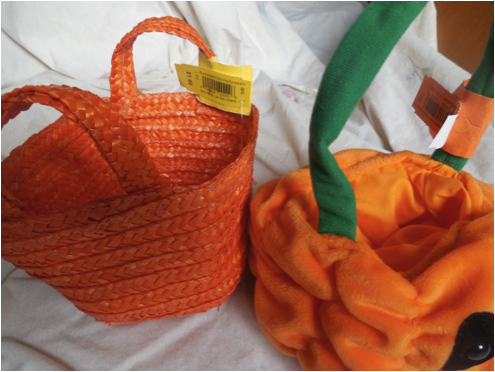 Oh and did I forget to mention that I also found some cute Halloween baskets at the arc, and I still came out under $30!